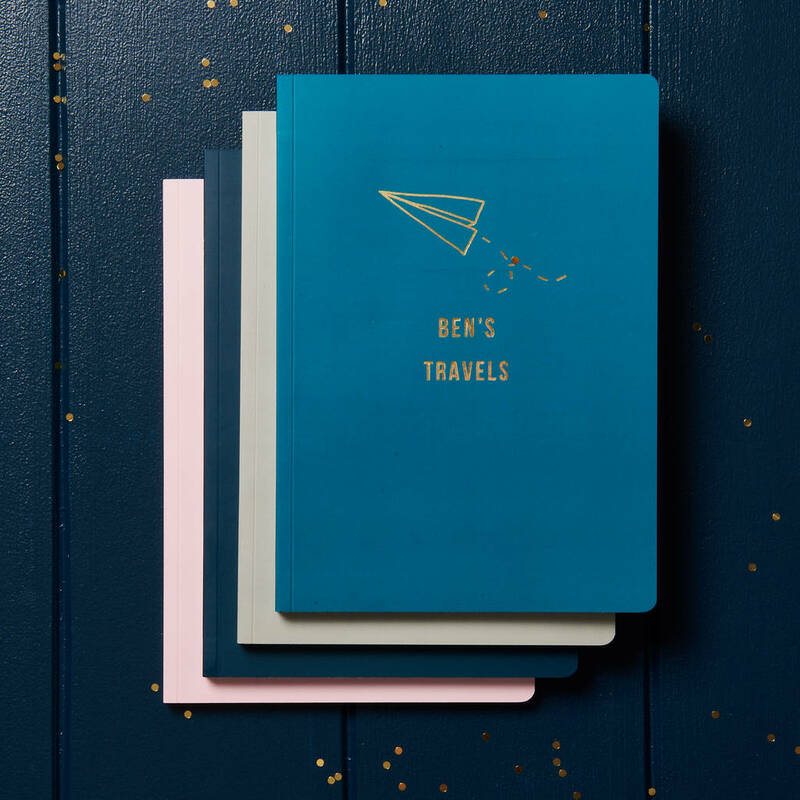 An illustrated gold foil A5 travel notebook. 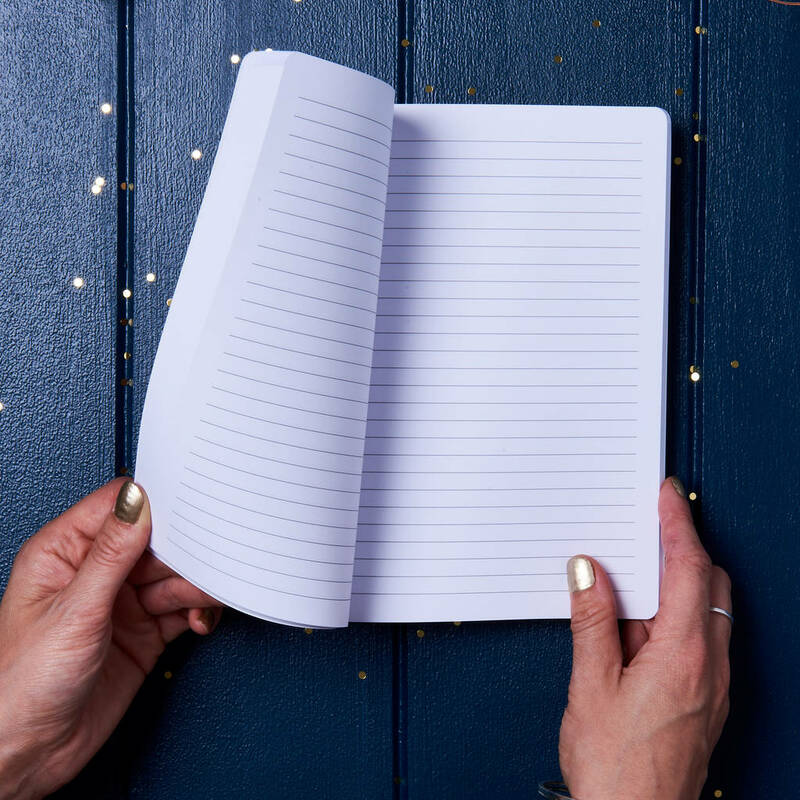 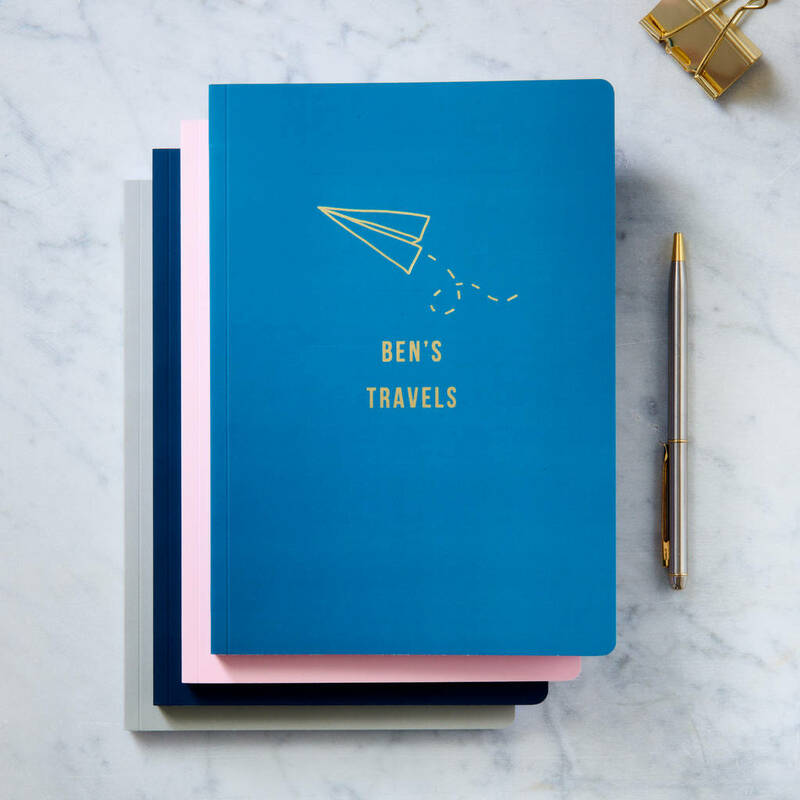 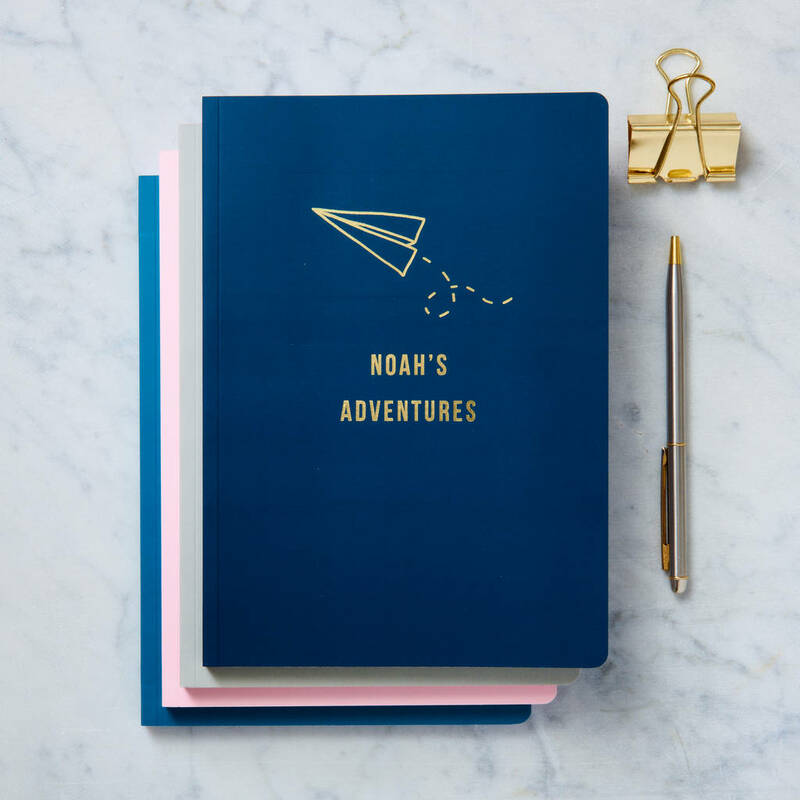 A lovely keepsake for somebody special or a little treat for yourself, these stylish notebooks make a perfect travel journal. 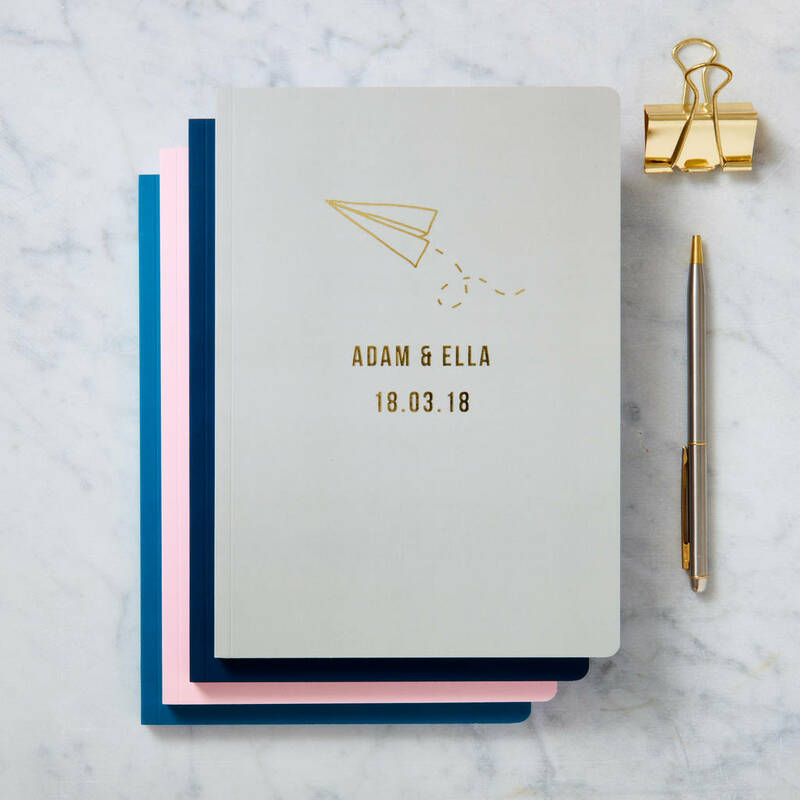 Each notebook comes with a gold foil, hand drawn paper plane design with your choice of personalisation underneath. 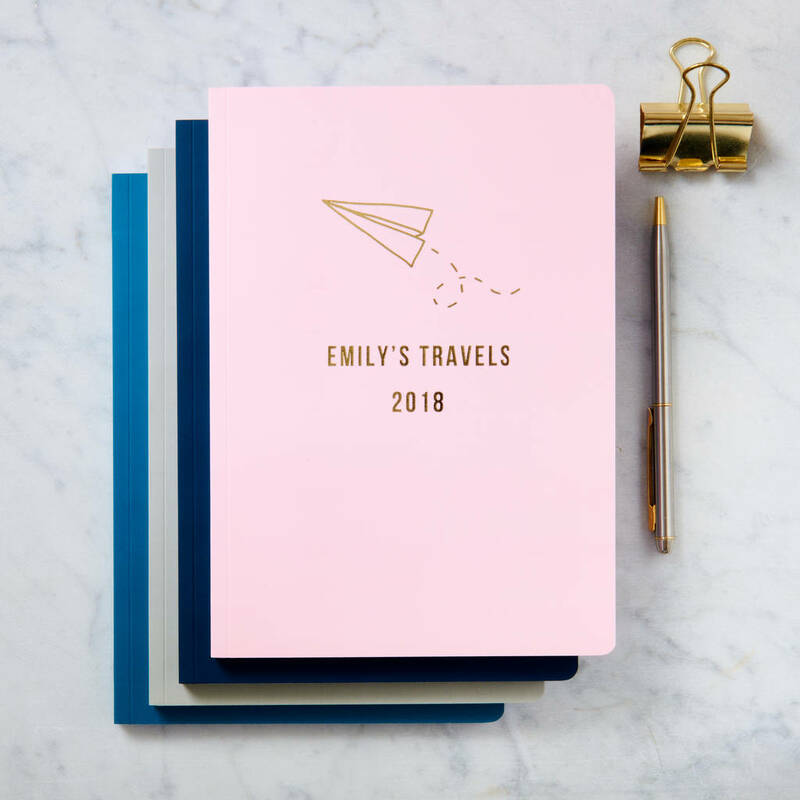 Please write your personalisation word for word, as we will copy your text exactly as it appears. Generally, we fit around 15 characters per line, we will separate your text accordingly.